Apple fans await the spectacular iPhone 8 with bated breath! | Apple fans await the spectacular iPhone 8 with bated breath! Apple fans await the spectacular iPhone 8 with bated breath! Another reason why ardent Apple fans are awaiting the new year with bated breath is the upcoming release of the iPhone 8, expected to mark the 10th anniversary of Apple’s original iPhone launch. The highly-anticipated iPhone 8 will be an absolute overhaul of the existing iPhone design. 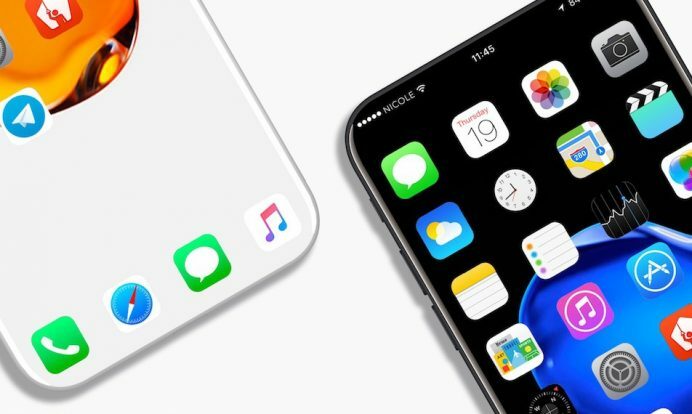 Apple fans are looking forward to this smashing brand new, and “rumoured” edgeless design, as they could possibly do with some freshness after the iPhone 7 and iPhone 7 Plus handsets continue to sport the same design Apple has used for the third year in row now. While it is not known what the iPhone 8 is exactly going to look like, there are some designers’ visions of the upcoming smartphone. Several reports say that the next-gen Apple iPhone 8 will have an OLED display curving down on both sides, and taking up a lot more space on the face than is the case with the current iPhone designs. One of the ways Apple will achieve this is by switching to the super-slim OLED display technology. Another is that Apple will most likely do away with the home button and implant a new kind of Touch ID fingerprint scanner into the display itself, thus eliminating the need for extra space below the screen. Recently, Apple blog iDropNews posted a series of iPhone 8 concept images, showcasing the beautiful display, subtly sloping around the edges and seamlessly blending in with the bezels. 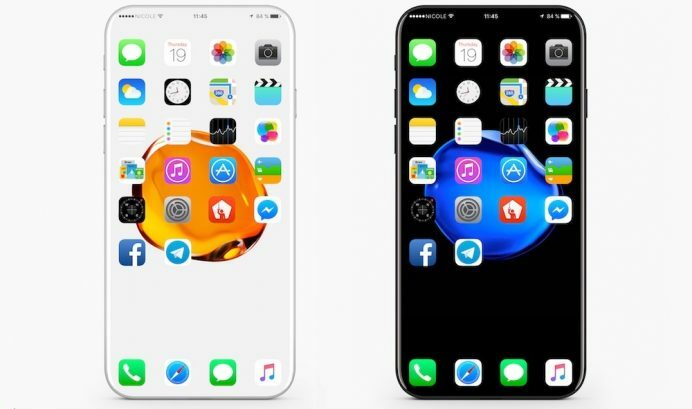 While there is presently no clear indication of how close this design is to the actual upcoming Apple iPhone 8, it is true that the phone’s concept images doing their rounds online are raising the anticipation further.